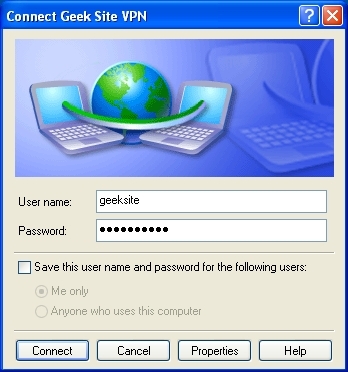 VPN is a private network created using public network, VPNs typically require remote users of the network to be authenticated, and often secure data with encryption technologies to prevent disclosure of private information to unauthorized parties.VPNs serves any network functionality that is found on any network, such as sharing of data and access to network resources, printers, databases, websites, etc. 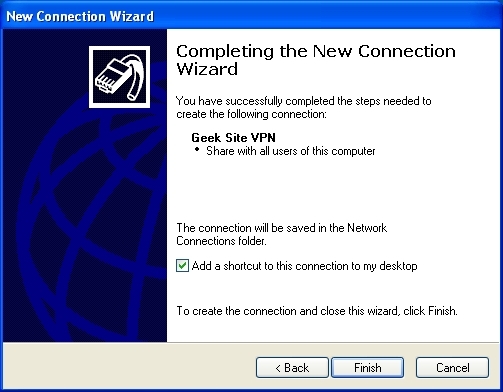 A VPN user typically experiences the central network in a manner that is identical to being connected directly to the central network. VPN technology via the public Internet has replaced the need to requisition and maintain expensive dedicated leased-line telecommunication circuits once typical in wide-area network installations. Confirm that the connection to the Internet is correctly configured on Windows XP client computer. 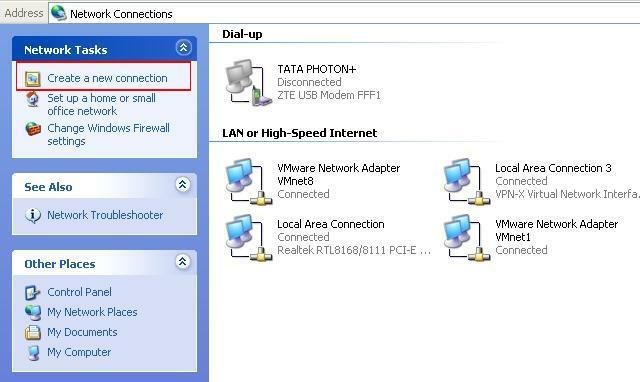 Open Network connection (Classic Start Menu: Start —-> Settings —–> Network Connections or Start Menu: Start —-> Control Panel —–> Network Connections). Click on Add New connection from the Left Pane. 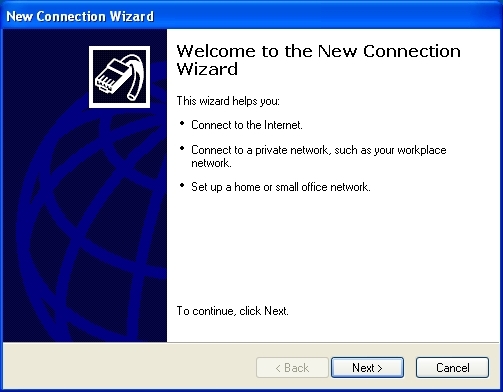 Click Next on New Connection Wizard. Select Virtual Private Network connection and then click Next. Type the Name for the connection and click Next. 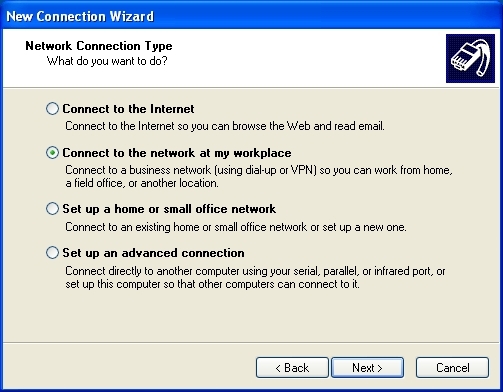 Select whether you will use a dialup connection or if you have a dedicated connection to the Internet. Type the host name or ip address of the computer to which you are connecting. Check the Add a shortcut to this connection in desktop and then click Finish. 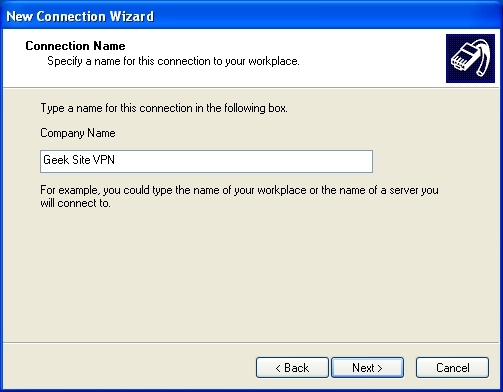 Start Connect by double clicking on VPN connection shortcut from Desktop or From Network Connection —-> Virtual Private Network Section. If you want to change any other values in the VPN client, click the properties in the above connect window. if the connetion established, connection details will be displayed in the notification area. That’s all. You have successfully configured the VPN client in Windows XP.